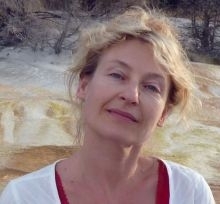 Dr. Olena Korvatska is currently investigating the following: genes involved in familial late-onset Alzheimer's disease (AD); the role of the V-ATPase complex in neurodegeneration and its relation to tauopathy; and the role of the TREM2-related microglial deficiency in the pathogenesis of AD. By exome and RNA studies in a family with an X-linked Parkinsonian Disorder with Spasticity, she discovered a pathogenic synonymous variant in the gene ATP6AP2 that results in altered splicing. This mutation leads to deficiency of vacuolar (H+) ATPase (V-ATPase) and impaired autophagy. V-ATPase is a novel target for intervention in Parkinson’s Disease (PD), as it is critical for the lysosomal function and autophagy pathways known to be affected in PD. She focuses on the mechanism of neurodegeneration caused by ATP6AP2 malfunction studying autopsy tissues and induced pluripotent stem cells established from the XPDS family. In 2013, as a recipient of a pilot award from the UW ADRC, Dr. Korvatska initiated work on samples from an AD family that segregated a mutated TREM2 gene, a recently identified risk factor for AD. She identified characteristic changes in the microglia of AD patients with mutation in this gene. Most recent preliminary data obtained in collaboration with systems biologist Dr. Alex Ratushny allowed them to gain critical knowledge about the role of the TREM2 in Alzheimer's disease. Gene discovery, elucidation of pathways underlying molecular mechanisms of cognitive decline, motor dysfunction in neurodegenerative, protein aggregation disorders.